There was an effort in June 1997 by President Clinton to use the Selective Service System to recruit potential volunteers in his AmeriCorps program. Such a move is a twofold intrusion on civil liberties: it violates the right of those who were forced to register for the draft to avoid having their addresses and other private information released to another agency; and, of course, it is costly to the taxpayer to pay for a joint system that serves two unconstitutional agencies. Ultimately, though, the administration deferred its plans. This issue has not gone away, as national service plans have considerable support from those people who think that everyone has a duty to the government. As a young man of draft age, I could sleep easier if I knew that my life would never have to be disrupted by a government which has given itself the legal ground on which it may attempt to violate my right to own myself. Even as I refuse to recognize the government’s powers, the Selective Service System/ AmeriCorps/Department of Education bloc does not care. To them I am their property, regardless of my feelings. The military and charity draft is indeed one of the most evil institutions in the United States government. The first is HR 2029, the Selective Service Registration Privacy Act. Put succinctly, this legislation will prohibit Clinton's Americorps program from using any Selective Service Administration resources, including draft registration information. Current law requires 18-year-old males to register with Selective Service. Americorps is a program which should have never come into existence, it is simply an unconstitutional government expenditure. The Americorps program has absolutely no constitutional basis, no rational economic basis, and no pragmatic basis; it is simply another program aimed at making more people dependent on government largess, at the expense of the hard-working taxpayers. But what we have today is not nearly as bad as what the president and his friends have indicated they hope it will become. First, the president has proposed the "Service to America Initiative' which would allow Americorps to use Selective Service resources to promote his brand of federally subsidized, so-called 'volunteerism' in Americorps. To use Selective Service, ostensibly a program designed to enhance our national security, as a means to bolster President Clinton's liberal, failing Americorps is completely ridiculous. And it sets a dangerous precedent. Letting Americorps get its foot in the door of the Selective Service system now is troubling by what it could portend for the future. I absolutely do not want my grandsons to be drafted into Americorps' "national volunteer service" and be sent to distribute needles in some drug-infested urban area, or be forced to pick-up trash in the national parks, but that is exactly where this could lead; and what the social liberals want. Already the president and his cronies have warped the meaning of the word "volunteer" by instigating this program, and we see school districts around the nation requiring volunteerism or public service as a condition of graduation It is not at all unlikely that this same social-planning crew will try to mandate that all kids 'volunteer' with Americorps. While we are waiting on an opportunity to stop Americorps, we can not allow this new "back door" attempt to strengthen it to slip by us. If we do not stop these two programs from merging, I believe our attempt to end Americorps will become more and more difficult as time wears on. Military needs aside, however, some politicians simply love the thought of mandatory service to the state. To them, the American government is America. Patriotism means working for the benefit of the state. On a crude level, the draft appeals to patriotic fervor. This is why the idea of compulsory national service, whether in the form of military conscription or make-work programs like AmeriCorps, still sells on Capitol Hill. Conscription is wrongly associated with patriotism, when it really represents collectivism and involuntary servitude. To many politicians, the American government is America. This is why, on a crude level, the draft appeals to patriotic fervor. Compulsory national service, whether in the form of military conscription or make-work programs like AmeriCorps, still sells on Capitol Hill. Conscription is wrongly associated with patriotism, when really it represents collectivism and involuntary servitude. Texas Straight Talk from 20 December 1996 to 23 June 2008 (573 editions) are included in this Concordance. Texas Straight Talk after 23 June 2008 is in blog form on Rep. Pauls Congressional website and is not included in this Concordance. 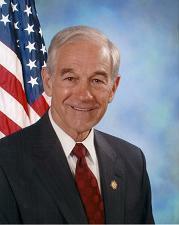 Remember, not everything in the concordance is Ron Pauls words. Some things he quoted, and he added some newspaper and magazine articles to the Congressional Record. Check the original speech to see. Home Page Contents Concordance E-mail list.